It used to be that if you wanted to get protected from the flu, then you simply got a flu shot. Now, there are so many flu vaccine options, you might feel like you are ordering from a menu. Do you want a nose spray or a shot? Do you want your shot in your arm or your leg? Would you like to try the new intradermal flu vaccine that comes with a prefilled microinjection syringe? It is impossible to make predictions about a flu season in advance. Will it be a mild flu season? 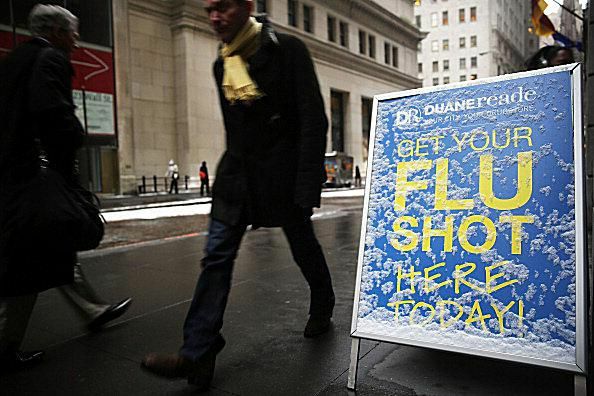 Will there be any shortages of flu shots? The only thing we know right now is that flu vaccine is available in most clinics and pediatric offices already and that there are supposed to be about 171 to 179 million doses available this year. While there are a lot more options this year when thinking about which flu vaccine to get, parents won't have to worry about them so much, at least not when thinking about which flu vaccine to get their kids. The flu vaccine options for kids have actually changed recently. Kids can now get quadrivalent flu vaccines, which protect against four strains of flu, instead of the older trivalent flu vaccines which only provided protection against three flu strains. While multidose vials of flu vaccine with thimerosal are still being made, at least 105 million doses of flu vaccine being supplied this year are either thimerosal-free or preservative free (with a trace amount of thimerosal). Most likely though, you will be choosing between a flu shot and FluMist when you visit your pediatrician. It is unlikely that they would have both trivalent and quadrivalent forms of the flu vaccine in their office. Flu vaccine delays and spot shortages, especially for FluMist, might limit your choices this year, but it shouldn't keep you from getting a flu vaccine. And remember that while all children who are at least six months old can get a flu shot, you have to be at least two years old and without any chronic medical problems, like asthma, diabetes, or immune system problems, to get FluMist. While you now have some options over which flu vaccine to get, you don't have that much choice over where your kids get their shot. Infants and younger toddlers should usually get their flu shot in the anterolateral part of their thigh muscle, while older children and teens should get it in their upper arm -- in the deltoid muscle. Keep in mind that FluMist will not be available for the 2016-17 flu season because of "data showing poor or relatively lower effectiveness of LAIV from 2013 through 2016." Adults have more options for the flu vaccine this year. FluZone Intradermal, which contains less flu vaccine antigen and is injected under the skin with a small, fine needle, unlike the regular flu shot, which is injected into a muscle. It can be given to adults between the ages of 18 to 64 years. It may be useful for adults who don't like needles, but who can't get or don't want to get FluMist. Fluzone High-Dose, which contains much more flu vaccine antigen than a regular flu shot and which can be given to seniors who are at least 65 years old. The higher dose of antigen will hopefully stimulate a better immune response against the flu in older people, who may have weaker immune systems. FluBlok — an egg-free recombinant flu vaccine that is not made using chicken eggs or the flu virus, instead of being made in insect cells. Flucelvax — a new flu shot that is made in cultured animal cells, instead of chicken eggs. None of these new flu vaccines are available for children or teens though. CDC. Seasonal Influenza. Fluzone High-Dose Seasonal Influenza Vaccine. CDC. Seasonal Influenza Vaccine Supply for the U.S. 2014-15 Influenza Season. Should Your Child Get the Pneumovax Vaccine?